Tell me if this sounds familiar. When you bought your new PC you were so happy. The speed at which you could do tasks on it was so fast, and it felt like your life was greatly improved as a result. But it’s been some time since you bought that PC. It’s not new anymore, and things are changing. Your computer is slow now. Every time you open a new program, or copy a big file, or try and use Photoshop, your PC feels like an old person. If you’re asking yourself, “Why is my PC so slow?” then you’ve come to the right place. Here are proven ways to make your PC faster. Uninstall unused programs: they are slowing down your computer. There are two types of programs that can contribute to slowing down your PC. The first, and least problematic, are programs that are not being used by you and not even by your computer. In essence, they are just wasting space for no good reason. Navigate to Control Panel > Uninstall a Program. Select a program that you know you don’t use anymore. Do this to your old programs and it will free up space on your PC. Remember, more free space on your PC means a faster PC. The second type of programs that slow a computer down are those that run on startup. You can see them running in your toolbar, and they are not only taking up space, but also using up your PC’s RAM (temporary memory). If you know you don’t need a certain program running, you can first try to find a preference in that program to not have it load on startup. If you don’t find such a preference, here’s an alternative. In Desktop mode, right-click on the Windows logo and select Task Manager. 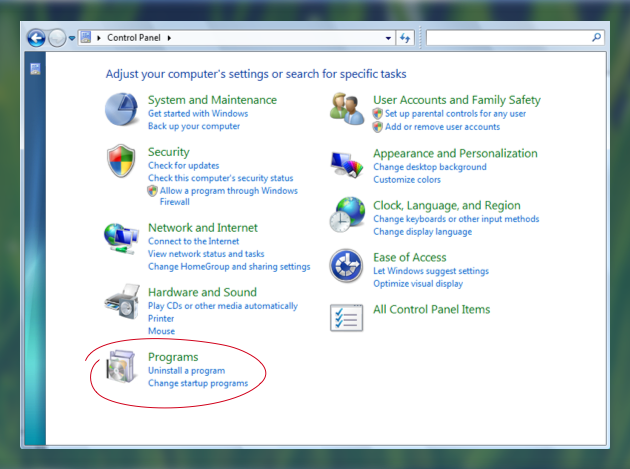 Right-click on Enabled programs and choose Disable. 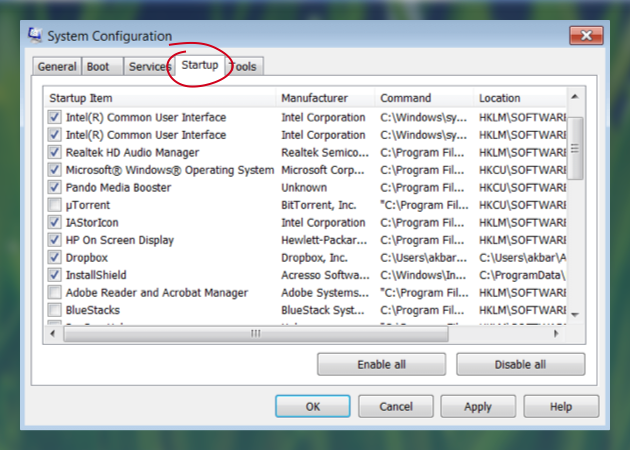 Click on the start icon and type msconfig into the search box. Uncheck programs that you don’t want loading on startup. That way, you’ll customize exactly which programs will load on startup. Note: We recommend that you do not uncheck windows services and only uncheck programs that you recognize as unnecessary. If you’re worried about doing something wrong, rather turn to a professional PC cleaning program like CleanMyPC. CleanMyPC will safely uninstall your programs while also removing the remnants of previously uninstalled software that Windows didn’t delete. It’s the easiest and most complete way to clean and speed up your PC (you can download it here and see for yourself). Delete temporary files (naturally, a cluttered PC is slow). Whether you realize it or not, your PC is creating all kinds of temporary files every day. These can be cache files, browser history files, or other types of files that are created to help your programs and system run more smoothly. Temporary files were generated with a good intention, but it would be even better if Windows was able to follow through on the word “temporary” by always deleting them when they are no longer needed. Instead, many of these files are permanently left to take up space on your PC hard drive. 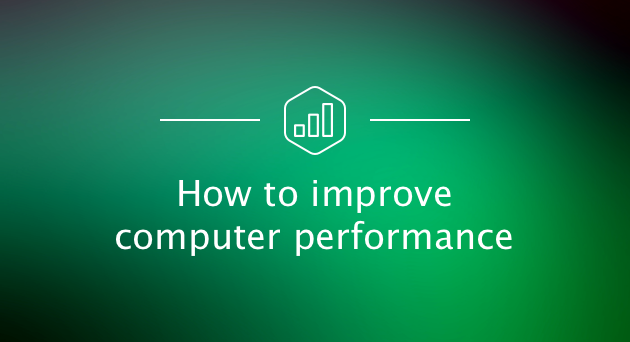 As your hard drive becomes full, your PC will start to slow down. In particular, drives that are over 85% full are going to become really slow and can even cause system errors. Temporary files serve no purpose after use and can be safely removed to speed up your computer, so let’s do exactly that. Select your local drive (normally C:/) and navigate into the Windows folder. Navigate into a folder called Temp and right-click in file explorer, click Sort By, and then More. Now add a check to Date Modified. Right-click in the Temp folder again and now when you Sort By, you’ll see Date Modified as an option. Select it to reorganize the folder. Now select all the folders that are older than the current date and delete them. Go to the Recycling Bin and empty it. This whole 7-step task gets much easier with CleanMyPC. It’s great for automating the cleanup of temporary files, because it lets you clean everything out in just a couple of clicks and never deletes anything important. Download CleanMyPC and try it out today — you’ve got nothing to lose and so much speed to gain. Defragment your hard disk for a faster PC. Note: Do not use defragmentation on SSD disks. 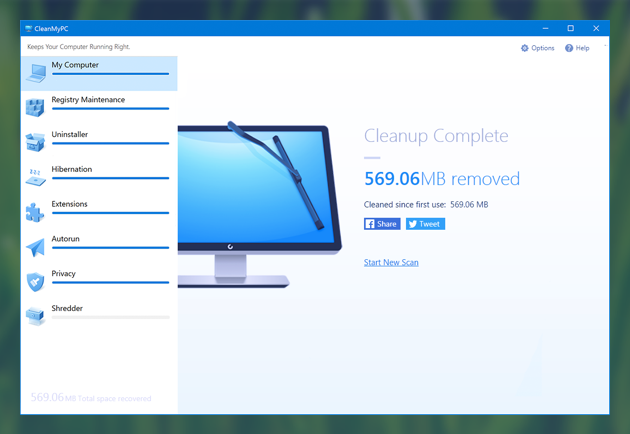 If you’ve cleaned up space on your drive, congratulations: this alone should make your computer faster. But oftentimes, a faster PC requires not just having free space on the disk, but also using that space efficiently. With the way files are stored on your hard disk, they are not neatly stacked next to each other as you would expect. Files are spread out over blocks on the platter of the drive, so when something is deleted, you get spaces of empty blocks between the remaining files. This spreading out of data means more work for your hard drive as it tries to find a file. In other words, two files in the same folder could be far apart (or “fragmented”) on the drive platter. Defragmentation (or defrag) is a maintenance tool that moves your files into an organized and sequential order. This makes searching for files and accessing them much quicker, so your PC will feel much more responsive. Open the Start Screen or Start Menu and type “defrag”. Open Disk Defragmenter/Optimize Drives and check when the last defragmentation was. Turn on automatic defragmentation if it’s off. Run Analyze, and if the results show a fragmented drive, run Optimize. Ideally, you’ll want to have your system defrag the drive once a week. Upgrade your system to make the computer run faster. It’s possible that your system is outdated and the best way to give your PC a boost would be to get some new hardware. But before you spend money, try optimizing your old hardware with CleanMyPC first. Set up the various PC cleaning options to automatically work on your PC, and then see if that helps make your computer faster. If it’s still slow, then fine, it may be time to reach for the wallet. There are two purchases that would make the biggest difference for your PC: RAM and an SSD. RAM stands for random access memory, and it’s what programs use to run. When there isn’t enough available RAM, your PC slows down. Adding a new stick of RAM or replacing your current sticks with faster and bigger RAM will have a significant effect on the speed of your PC. The other hardware solution to look for would be a new SSD. Solid State Drives are much faster than regular hard disks, although they are also more expensive. 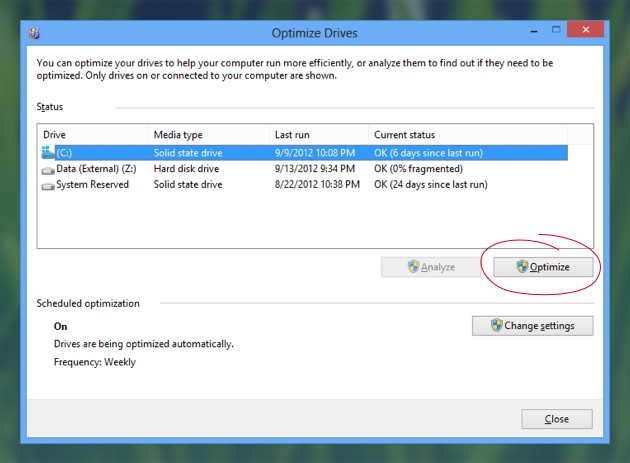 Plus, you should use the SSD for your system drive, which would mean a fresh installation of Windows. You’ll have to decide if you’re willing to make all the effort, but if you do, the results could be worth it. If you were wondering how to make your computer run faster, we hope that we’ve given you the tools to take your slow PC and, in a few easy steps, make your computer as fast as it once was. Whether you optimize your PC on your own or let CleanMyPC do it for you, just make sure you do something about your slow computer.